Co-Optimus - Event - Borderlands Co-Op Night and Giveaway! Borderlands Co-Op Night and Giveaway! 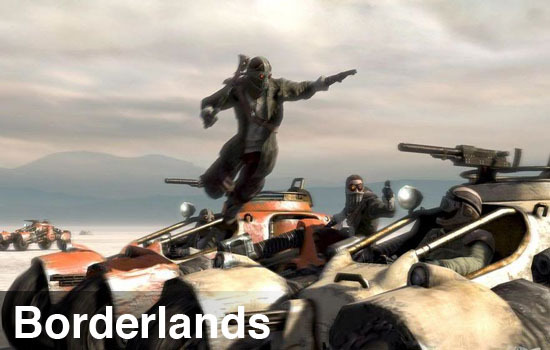 It's time for another Xbox 360 co-op night, and this month we're heading to the Borderlands. Things kick off at 8PM EDT this Thursday, October 29th! Looking to hit that magical level 50? We've got a group for that. Wanting to start a fresh new character for new playthrough? We've got a group for that. Just feel like killing Skags, and don't care about what level(s) is involved? We've got a group for that. To join up you can send a invite to the official Co-Optimus Borderlands Gamertag, and utilize the friends of friends feature to find other gamers playing! We're also giving away one Xbox 360 copy of the game to a lucky reader of this site. To enter to win simply reply to this post and come up with your own zany name for a gun in Borderlands - bonus points for leaving a description of what it does! The winner* will be drawn Thursday right before co-op night kicks off! Good luck!